The Sufferettes: Space Riders: Division Earth. It's here, it's here! The web series we are both in, Space Riders: Division Earth came to life today. Written by and starring two extremely funny and talented men, Dan Beirne and Mark Little, Space Riders is basically the story of two shmos who turn magic...in a spacey kind of way. It also co-stars Amy Matysio, Kyle Dooley and Eugene Clark. Oh, and Kayla plays an intersex space villain and Becky plays three progressively degenerating clones. CANADA: http://www.ctv.ca/SpaceRiders.aspxU!S!A! 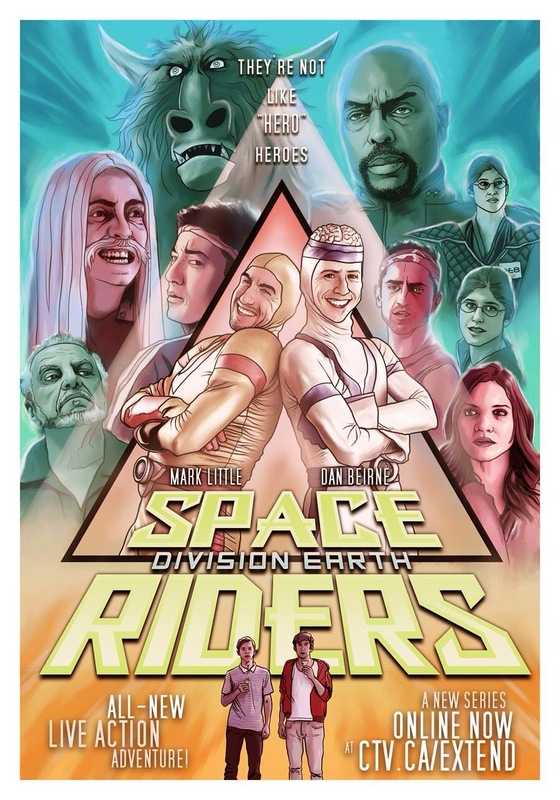 : http://www.hulu.com/space-riders-division-earthREST OF WORLD: We will keep you posted. Sowwwwwwy.